L&M Home Inspection Services, Inc. Comment: I would like to get an estimate for a home inspection. I AM A RENTER THAT IS HAVING ISSUES WITH THE PROPERTY THAT I AM RENTING, LANDLORD REFUSES TO WORK ON. LEAKS ALL OVER, BACK UPS EVERYWHERE. HUMAN FECES ARE COMING IN THE BACKYARD. I need an inspection to identify the issues. NEED HELP ASAP. PLEASE. Comment: I AM A RENTER THAT IS HAVING ISSUES WITH THE PROPERTY THAT I AM RENTING, LANDLORD REFUSES TO WORK ON. LEAKS ALL OVER, BACK UPS EVERYWHERE. HUMAN FECES ARE COMING IN THE BACKYARD. I need an inspection to identify the issues. NEED HELP ASAP. PLEASE. Comment: Roof is leaking. Had a roofing company inspect the roof and conclude it should be replaced. Insurance inspector stated the opposite, and claim was denied. A lawyer was hired to file a civil suit, and wants an outside roof inspector, not connected to a roofing company, to do an inspection on the roof and report their findings. Comment: Purchasing a home need a accurate inspection also wind mit. I need estimates/inspection done TODAY if possible. Florida Group Home Inspection, Inc.
All Florida Home Evalutions, Inc.
Kissimmee Home Inspectors are rated 4.88 out of 5 based on 1,383 reviews of 49 pros. 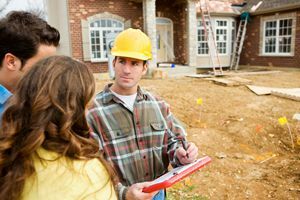 Not Looking for Home Inspection Contractors in Kissimmee, FL?